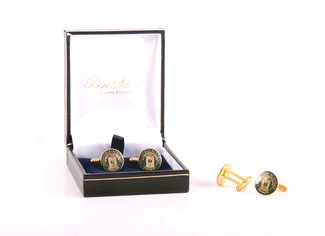 Fine crafted jewelry cufflinks die struck with the Deerfield Seal in 24K Gold Plate with hand-applied green Cloisonne Enamel. 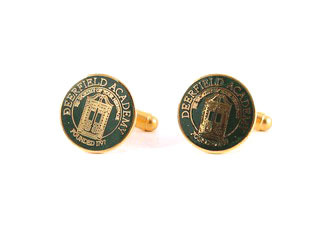 Cufflinks are 5/8" diameter. Created exclusively for Deerfield by Ben Silver.